NICM will host a Symposium to showcase integrative medicine research and promote collaborations between relevant research institutions, industry and government organisations nationally and internationally. 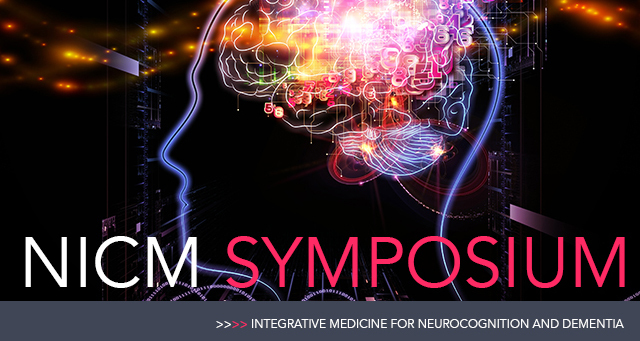 The theme of this year's Symposium is Integrative Medicine for Neurocognition and Dementia. Dementia is the single greatest cause of disability in Australians aged 65 years and older, and is the second leading cause of death in Australia (the second leading cause in women). Accelerating research and innovation in the prevention, diagnosis, treatment and management of this health area is a national and global priority. Bringing together leading researchers, clinicians and industry groups from Australia and China, the symposium will discuss key issues relating to integrative medicine research and integrative care for dementia and cognitive problems, and related mental health issues; and help develop the agenda for future priority research in this field. NICM is proud to be associated with the 25th Annual Conference for the Australasian Society for Psychophysiology (ASP2015) being held immediately after the NICM symposium on 2-4 December. Make your reservation today at PARKROYAL Darling Harbour for the NICM Symposium and receive a special 10% discount.